The least-expensive Roku is much faster now, but the best Roku still doesn’t cost much more. The Roku Express isn’t a bad streaming box, especially for $30. There just happens to be a much better streamer available if you’re willing to spend another $20. 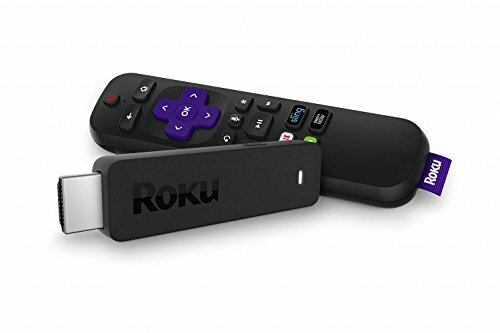 That would be the stellar Roku Streaming Stick, which for $50 includes a remote with TV volume and power controls, voice controls, and point-anywhere RF technology. It’s also a faster streaming device with better Wi-Fi connectivity to boot. If you plan to use your Roku for any decent stretch of time, you’ll want those features. Still, the new Roku Express is more powerful than its predecessor, which in turn makes it passable enough to buy as a cheap gift, for use with a universal IR remote, or perhaps for TVs you don’t intend to use very often. Compared to last year’s model, it feels a little less like a compromise. Externally, nothing’s changed with the 2017 Roku Express, which resembles a tiny streaming box sawed in half. 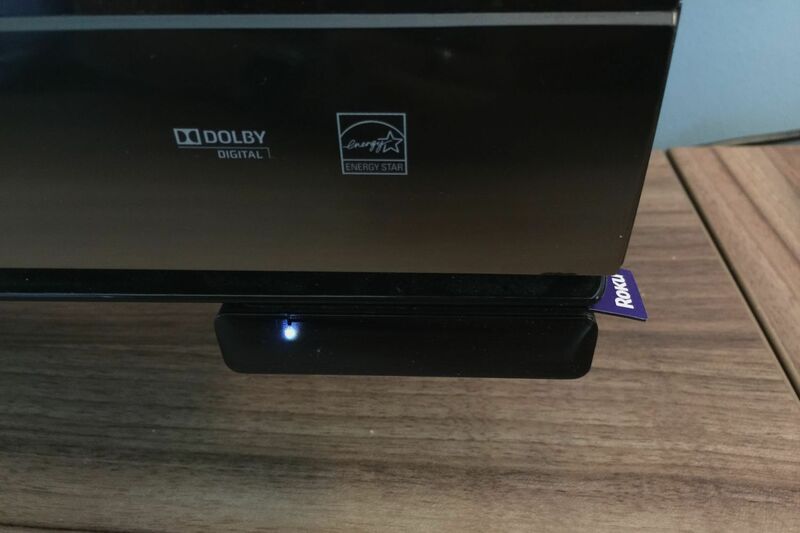 Unlike Roku’s Streaming Sticks, the Express connects to a television via an included HDMI cable, but the hardware is so small and light that it comes with a strip of dual-sided tape so you can stick it to a TV stand or television. The box also still needs to sit out in open, where it can receive commands from the Express’ infrared remote control. The Roku Express depends on being in line of sight of its infrared remote, so you might want to stick it directly to the front of your TV. Little about that remote has changed either, save for a slightly different configuration of app shortcuts. (Google Play is out, and Amazon Video is in, alongside Netflix, Hulu, and Sling TV.) If you want voice controls, or want to control your TV’s volume or power without a separate remote, you’ll need to step up to the $50 Roku Streaming Stick. Private headphone listening through the remote requires the $100 Roku Ultra, though all current Roku players allow you to listen through headphones via Roku’s smartphone apps at no extra charge. What’s different, then? 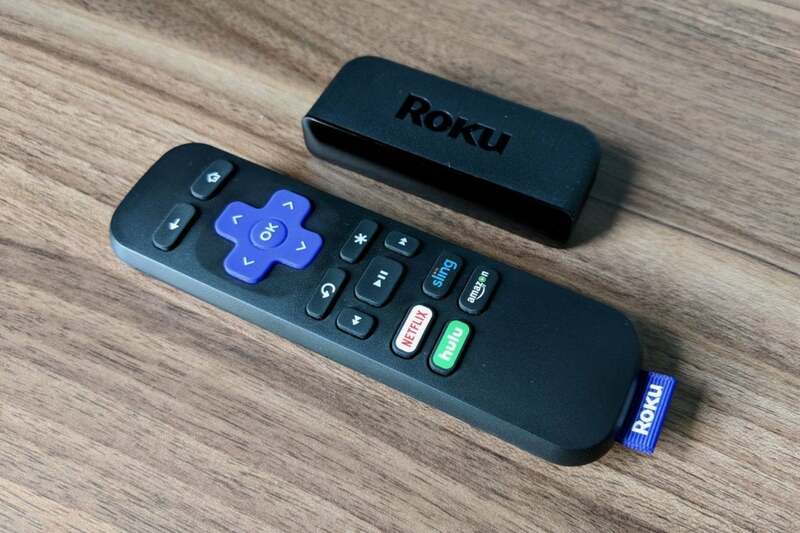 Roku says the new Express is five times faster than the original model, which might’ve seemed like an exaggeration if the original wasn’t so prone to sluggishness. 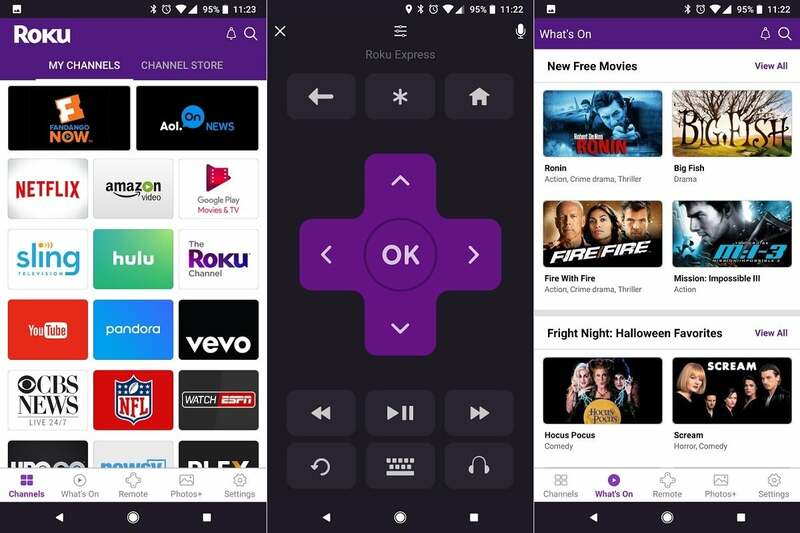 Roku’s software is optimized for low-cost hardware to begin with, but the Express no longer feels like it’s struggling to keep up in more demanding apps like Sling TV, Pluto TV, and Crackle. And while it doesn’t support 4K HDR video—you’ll need the $70 Roku Streaming Stick+ for that—the Express does handle 1080p and 60-frames-per-second videos without issue. The new Roku Express is much faster now, but still tiny. Unfortunately, the Roku Express still relies on single-band 802.11n Wi-Fi, which is a full generation behind the latest wireless standard used by all pricier Roku models. If you have a newer router that uses 802.11ac, the Express won’t take advantage of the router’s faster and often less-congested 5GHz band. Roku’s software feels like it was made with the Express in mind. The whole interface is light on flashy transitions and animations that might drag down performance, and Roku’s best software features work just as well on the Express as they do on pricier players. For instance, you can listen to audio through headphones using Roku’s companion mobile apps, which also support universal voice search and allow you to control the player with touchscreen buttons. (Unlike the physical remote, those mobile controls don’t require line-of-sight to the box.) A handy feature called Roku Feed is also available on both the player and the mobile app, letting you keep track of new TV episodes and movie price drops across various streaming services. Roku’s mobile app compensates for some of the physical remote’s shortcomings. Like Roku’s other new players, the Express runs Roku OS 8, though it’s just a minor upgrade over previous versions. The biggest new feature is single sign-on, which automatically logs you into multiple TV Everywhere apps once you’ve authenticated with just one of them. This doesn’t work with some major cable TV providers, including Comcast and Spectrum, and not every app supports the feature, but it’s still a time-saver when it works. Most other Roku OS 8 features focus on antenna integration for smart TVs and on 4K playback, neither of which apply to the Roku Express. The more substantial improvement is in the quality of individual apps, as Roku no longer allows new apps to use the tacky templates that once defined the platform. 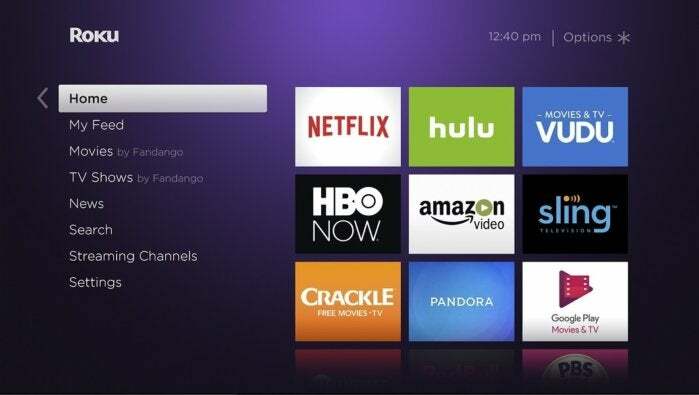 Recently launched streaming services such as Hulu with Live TV and DirecTV Now look and behave the same on Roku as they do on other streamers, and other apps such as FuboTV, Crackle, and Tubi TV have also been updated with more modern designs. The Roku Express has no problems handling these apps, even those that offer richer graphics and background video playback as you browse the catalog. Roku’s simplistic interface works well with cheap hardware like the Express. Some apps do still use the old template model—including PlayStation Vue, HBO Now, and A&E—but Roku has set deadlines that will require them to upgrade by the end of next year. Users who buy the 2017 Roku Express should feel confident that their hardware won’t become obsolete along the way. Who’s the Roku Express for? 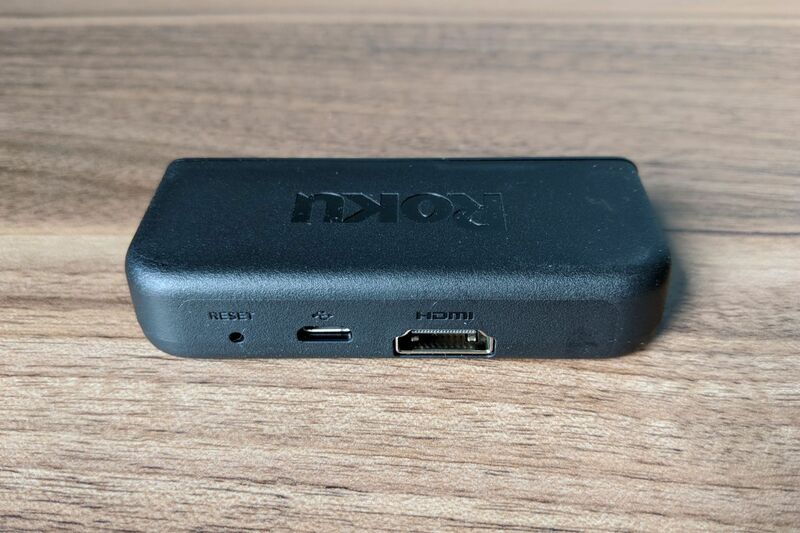 Given that the software experience holds up even on budget hardware, there are a couple scenarios where the Roku Express makes more sense than pricier models. The Express is now the only Roku model that works directly with infrared-based universal remotes, such as Logitech Harmony, so you can plug it into an existing entertainment center without adding another remote and more headaches. And for older non-HD TVs, the $40 Roku Express+ is your only option. (It’s otherwise identical to the regular Express.) One could also argue that the Roku Express is good enough as a cheap gift or streamer for secondary televisions, especially now that its performance is much smoother. Yet for $20 more, Roku made a product that’s far superior in almost every way, with tangible benefits like TV controls and a remote that you can point anywhere. The Roku Express no longer seems like a gift for your frenemies, but it’s still not the one you ought to buy for yourself.